We are pleased to announce that we now carry the pottery of artist Teresa Deible of Bedford, which is featured in this photo. 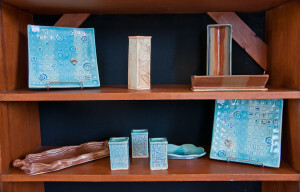 Her business, Clayful Expressions, produces a variety of pottery including vases, plates, and even earrings. Teresa says she is inspired by nature and she is fascinated by the medium of clay. 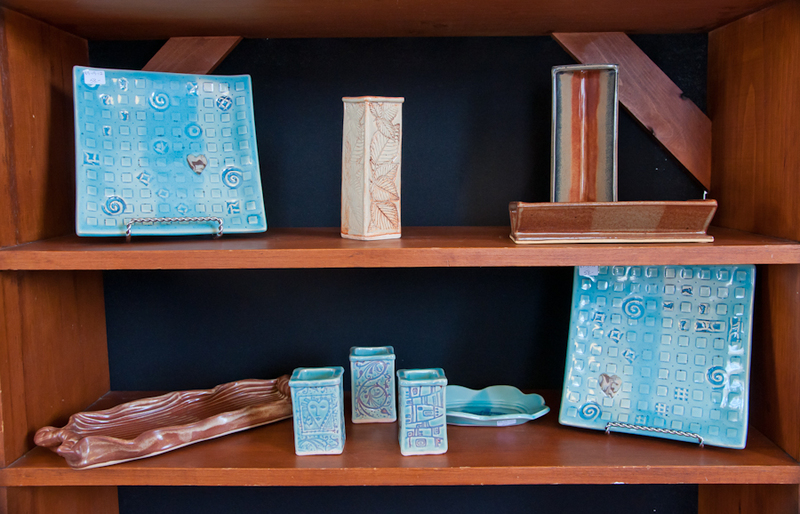 Please stop by the Depot soon to see her creative and unique pottery! When you shop at the Depot, you support local artists like Theresa and also various worthy organizations in Wayland. Located on Route 27 across from the Wayland Library, the Depot is open Tuesday through Saturday, 10am-4pm. 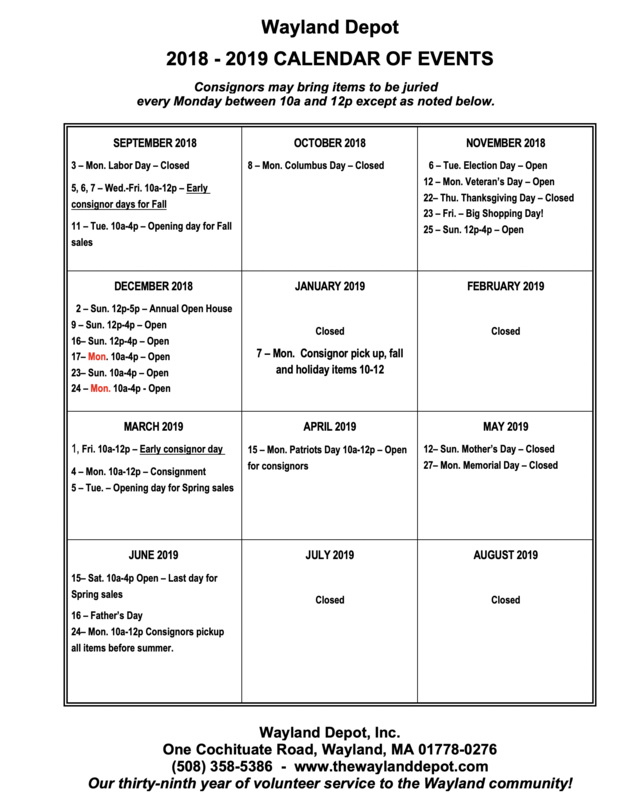 « Holiday Shopping at the Wayland Depot – Sunday hours, and open Christmas week!